Background: The reporting of the medicinal plants and their traditional uses is important in order to prevent this knowledge from being lost. The aims of this study were to collect information concerning the traditional use of medicinal plants in the region of Tafila; identify the most important medicinal plants; determine the relative importance of the species surveyed; and calculate the informant consensus factor (Fic) in relation to medicinal plant use. Materials and Methods: Data on the traditional medicinal uses of local plants were collected using qualitative tools. The informant consensus factor (Fic) for the category of aliments and the use value (UV) of the plant species were calculated. Results and Conclusions: The survey revealed that 41 plant species are still in use in Tafila for the treatments of various diseases. Problems of the digestive system had the highest Fic values, while Allium cepa L. and Matricaria aurea (Loefl.) Sch. Bip. scored the highest UV. The medicinal plants used by local people of the Tafila area of Jordan their traditional uses were investigated. forty one plant species are still in use in Tafila for the traditional treatment of various diseases. The preservation of this knowledge is important not only for maintaining cultural and traditional resources but also as a resource for the future identification of leads for drug development. The use of Fic and the UV to identify plant species that are consistently used in the treatment of specific ailments assists in narrowing down the search for new effective plant-derived medicines and in validating the use of traditional medicines. Data on the traditional medicinal uses of local plants was collected using qualitative tools. The informant consensus factor (Fic) for category of aliments and the use value (UV) of the plant species were calculated. in the Tafila region, the Fic values are relatively low, indicating a low level of shared knowledge and that a number of different species are used to treat similar disorders. This may be a result of the great diversity of vegetation types found across the Tafila region, with the specific plant chosen being dependent on the species most readily available in the different vegetation zones. Interestingly, however, the UVs calculated for a number of species in the Tafila region are relatively high, compared with those recorded in other areas of Jordan. These high UVs indicate that despite the diversity of vegetation types across the Tafila region, a number of plants are highly valued for medicinal use throughout the whole region. This study contributes to the body of knowledge about the use of plants in traditional medicine, helping to document and maintain the knowledge that has been traditionally passed directly from person to person. The preservation of this knowledge is important not only for maintaining cultural and traditional resources but also as a resource for the future identification of leads for drug development. Problems of the digestive system had the highest Fic values, while Allium cepa L. and Matricaria aurea (Loefl.) Sch. Bip. scored the highest UV. Comparison with other ethnopharmacological studies in the region found consensus about many of the uses reported, and also identified localized uses of some species. Experimental evidence from the literature offered support for many of the reported uses. In the past, herbs were the only sources of most drugs, they were used to eliminate pain and treat diseases; however, this does not mean that herbal medicine is an old science as one might think. Even with the huge developments in chemistry and the pharmaceutical industry, not all of the active components of these herbs have been identified, and so the reliance on herbal medicine remains the basis for a large proportion of medications used today. According to the World Health Organization (WHO), about 4000 million people in developing countries believe in the efficacy of plant remedies and use them regularly. Although modern medicine may be available in these countries, herbal medicines have often maintained popularity for historical and cultural reasons. Environmental degradation, caused by the higher use rate of the herbs as a source of food, fuel, and medicine, and the disappearance of some rare medicinal herbs due to the uncontrolled collection of medicinal plants, makes this study significant. The reporting of the medicinal plants and their traditional uses is important in order to prevent this knowledge from being lost, since traditional herbal medicine is less attractive to the younger generation. Jordan is a small country, but it has a great diversity of wild plants due to the varied geography and climate. It has been estimated that there are a total of 2000 plant species, belonging to 700 genera and according to Atta more than 49 plant families having excess of 120 plant species used in Jordanian traditional medicine. The land itself is unique in its natural diversity due to its geographical location at the meeting point of three continents (Asia, Africa, and Europe). Its special climate, which is influenced by the Mediterranean as a moderating factor and the desert as a drying factor, is characterized by dry hot summers and mild wet winters with extreme variability in rainfall within and between years. In general, rainfall decreases from west to east and from north to south. The aims of this study are to collect and use semiquantitative methods to analyze information from the local population concerning the use of medicinal plants in the region of Tafila; identify the most important medicinal plants; determine the relative importance of the species surveyed; and calculate the informant consensus factor (Fic) in relation to medicinal plant use. Qualitative tools were used for data collection and to record the interviewee's personal information and topics related to the medicinal use of specific plants. Tafila (30.833 N 35.6 E) is located in a semidesert region on the eastern plateau of Jordan (189 km south of the capital Amman). The Tafila region spans across two biogeographical zones, Mediterranean and Irano-Turanian. The study area covers a diverse landscape, including rocky slopes, gravel plains, sand dunes, and wooded highlands. The majority of the study area consists of two distinct vegetation types, Mediterranean nonforest and steppe vegetation; however, four other vegetation types are also found in the region, providing a diverse range of plants. The rain falls only in the winter season that lasts from October to March. The mean annual rainfall is around 250 mm. The area has a Mediterranean climate with a hot, dry summer and wet winter. The average maximum temperature is 38.5°C in summer and minimum –4°C in winter. The Irano-Turanian zone is characterized by lower rainfall and higher temperatures. This survey was conducted throughout the year 2007. The interviewing team was composed of six members. Interviews took place in the interviewees' homes using the native language (Arabic). The 33 interviewees were aware of their right to refuse to answer any question, to stop the interview at any time, or to simply decline the interview altogether. The survey team conducted 29 home visits during with interviews ranging in length from 30 to 120 min. During the survey, the interviewing team relied chiefly on soliciting information via conversations held during social meetings, oriented discussions, and explicit observations. Data collected through direct interviews were immediately documented in field notebooks. The informants were asked to give their knowledge about the traditional use of the plants, the plant parts to be used, the preparation method of the remedy, and the dosage. All interviews were conducted individually to ensure that the information was as unbiased as possible. Citations by at least three independent informants were required in order for a particular plant to be reported. Plants were classified into use groups by the researchers according to information about their use in the treatment of ailments supplied by the informants. Plant specimens were collected during the mature stage and were taxonomically identified by comparing collected voucher specimen with those of known identity in the herbarium of the Department of Biological Science, Faculty of Science, University of Jordan, and with the assistance of Prof. Dr. D. El-Eisawi, Plant Taxonomist, Department of Biological Sciences, University of Jordan. A voucher specimen of each plant was deposited in the author's research laboratory at the Department of Pharmaceutical Sciences, Faculty of Pharmacy, University of Jordan. Samples of survey herbs were collected for herbarium preparation following standard procedures and given a herbarium specimen number [Table 1]. The value of this factor ranges from 0 to 1. A high value (close to 1) indicates taxa (usually species) used by a relatively large proportion of the informants for the same category of illness, indicating a more consistent use of the medical resources. Plants that are cited as useful by only one or two informants are considered to be of low cultural importance. However, since this index is based on use categories instead of individual plant uses, there exists a certain degree of bias or subjectivity depending on how the used categories are defined by researchers and may generate different results depending on the researcher who determines and assigns the categories. The use of the informants consensus factor in addition to the use value index allows the degree of consensus about the treatment of different ailments within a community to be assessed as well as the identification of the most important medicinal plant species. The majority of the people in the Tafila region are of Bedouin descent living in seminomadic or settled rural communities. The informants were resident in the community and were recognized by community members as being knowledgeable about the uses of the medicinal plants and were frequently sought out by the community members for advice on the medicinal use of plants. Of the 33 informants, 11 were male and 22 were female. The plants used were either sourced from the wild or grown specifically for use. During the interviews, it was not evident that the informants were not aware of any conservation issues and there were no reported measures taken to sustain threatened species. Women were identified as the sole source of knowledge on the use of herbs in the past, as well as, the present. Both male and female interviewees referred the team to the old Hajat, who are more knowledgeable. Women were more forthcoming in sharing their knowledge of the herbs. The community viewed healing knowledge part of the heritage of the community to be treated with utmost respect, which is to be transferred to the younger generations of women. Healers are predominately older women whose help is sought after by the community for advice on health issues particularly related to women and children. No herbalists in its strict sense or real practitioners were encountered in this study area and the women usually practice treatment free of charge. Only four older women and one practitioner in Tafila were reported to collect plants during the spring for sale mainly to the locals. The plants used are generally “safe” and non-toxic, providing treatments for digestive problem such as nausea, vomiting, abdominal spasm, flatulence, stomachache, and kidney stones. The older women also provide female patients with all the solutions regarding pregnancy, abortion, fertility, sterility, delivery, and gynecological disorders. A total of 41 medicinal species from 27 families were documented with their medicinal uses [Table 1]. The families of most medicinal importance in this region are Lamiaceae (six species) and Asteraceae (five species). The leaves were found to be the most frequently used parts in the preparation of herbal remedies and comprised 37% of all the reports on the use of plant parts. This was followed by flowers and aerial parts (18%), fruit (15%), seeds (12%), and other parts of the plants such as stem and sap (8%). The most common method of administration was either as infusions or decoctions taken orally, particularly for colic, constipation, other abdominal ailments, and disorders of the urinary tract. Alternatively, the skin was bathed with decoctions or infusions for the skin disorders. Many treatments were simply administered either raw or cooked. Some remedies were mixed with honey as the case with Allium cepa L. and Nigella sativa L. in treating asthma and cough as well as in the case of Aloe Vera L. in the treatment of stomach ulcers. In the case of skin diseases, inflammation, eye infection, and hair treatment, the remedies were applied topically. Remedies may also be administered by other methods such as vapor inhalation as in the case of Peganum harmala L. or nasal application as in the case of Ecballium elaterium L. juice for the treatment of jaundice especially in newborn babies. The UV for each plant was calculated during the analysis of the data. This technique emphasizes the plant's relative local importance. The species with the highest UV were A. cepa L. and Matricaria aurea (Loefl) Sch. Bip. with an UV of 2.58. A. cepa L. is used as appetizer, antidiabetic, anti-asthmatic, anthelmintic and for heart disease, cough, and intestinal inflammation. While M. aurea (Loefl.) Sch. Bip. is used for hemorrhoids, colic, skin cracks, urinary tract infection, and cough, as laxative and carminative, and in cosmetics. Allium sativum L. had the second highest UV (2.24). This species is frequently used for hoarseness, alopecia, hypertension, arteriosclerosis, intestinal inflammation, and as an anthelmintic. Olea europaea L. used for breast and colon cancer, heart diseases, constipation, and as an emollient was reported with UV of 2.09. All of the medicinal attributions cited by the interviewees were grouped into 10 ailment categories predominantly associated with different body systems: digestive system, liver, nervous system, respiratory system, skin, genitourinary system, hair, circulatory system, sensorial system, and diabetes. [Table 2] shows important plant species for each illness category. The Fic values indicate the degree of shared knowledge for the treatment of the ailment by medicinal herbs. The highest Fic value was linked to problems related to the digestive system (0.37) and for liver problems (0.33). The used category with the lowest Fic value was circulatory system (0.14). The higher Fic values indicate that the medicinal plants are effective in treating a certain disease. [Table 3] shows these categories with their Fic values. A more detailed description of each category follows. This group had the highest number of citations (39) with an Fic of 0.37. Twenty-five species, representing 60.98% of the total plant species, were used for the treatment of digestive system ailments. This category includes treatment of all problems related directly or indirectly to digestion such as anthelmintic, carminative, colic, stomachache, constipation, appetizer, and laxative. The use of Coriandrum sativum L., A. sativum L., A. cepa L., and Artemisia herba-alba Asso as anthelmintics is also supported by experimental data. The alcoholic extract of C. sativum L., A. sativum L. and the powder of A. herba-alba Asso were investigated for treatment of Haemonchus contortus parasite,,,, while the oil from A. cepa L. demonstrated an anthelmintic effect in the rats infected with Trichinella spiralis and there was an increase in the production of antibodies generated during the life cycle of this parasite. This group obtained the second highest Fic value (0.33). Three species are used to treat medicinal problems within this group; Urtica pilulifera L., Ecballium elaterium L., and Q. coccifera L. Of the three plants, only E. elaterium (L.) has currently been reported for the treatment of liver disorders across different regions of Jordan., The effectiveness of E. elaterium (L.) is also supported by experimental data that show that extracts decrease serum bilirubin concentration in male rats. Cucurbitacins, isolated from of E. elaterium L., have also been demonstrated to reduce direct bilirubin and total bilirubin in human plasma, supporting the traditional use of E. elaterium L.
The Fic for this category was 0.31. A total of 10 species were cited with 14 uses. The treatment of headache and as a calmative were the most frequent citations. The most important representative of this group was Nigella sativa L., with 86% of the informants suggesting the use of this plant for headaches. Despite the common use of N. sativa L. for the treatment of headaches in the Tafila region and the fact that it is frequently identified as a medicinal plant in studies of other Jordanian regions, headaches were not cited as one of the uses in these studies,,,] suggesting that this use of N. sativa L. is through local knowledge. Aloysia citrodora Palau was also reported to have a calmative effect, which may be supported by a new study, which demonstrates that the essential oil of Aloysia citrodora possesses antioxidative, nicotinic cholinergic, and some neuroprotective activities. The use of Salvia fruticosa Mill and Rosmarinus officinalis L. for remedies targeting the nervous system problems has been investigated by two different studies. S. fruticosa showed sedative and cognition-enhancing properties. While R. officinalis demonstrated antidepressant, anxiolytic, and antinociceptive effects. This category had the second highest number of citations (16), with an Fic value of 0.27. Asthma and coughs are examples of problems within this category. A. sativum L., A. cepa L., and Mentha piperita L. are the representative plants of this category with the three highest UVs. All three species have been reported to be used medicinally throughout Jordan. However, none of the three species have been reported to be used for respiratory illnesses in all the current studies,, suggesting variations in the local knowledge in their use. This category shared the same Fic value with respiratory system problems (0.27), but with a total of 12 citations (9.76% of the total). A. herba-alba (Asso) was claimed to treat eczema and wounds; however, this seems to be a local use of this plant. Although A. herba-alba (Asso) is reported as being one of the most widely used plants in Jordan, its use in the treatment of skin disorders has not been previously recorded. With 10 citations, this category comprises eight plant species, with Fic of 0.22. This category includes ailments like diuresis, kidney and bladder problems, and urinary tract infections. Petroselinum crispum Mill. and Teucrium polium L. are representative plants of this category. T. polium L. is recognized as one of the most common species for the treatment of renal disorders. Paronychia argentea Lam. was also reported as a treatment for kidney stones in the Tafila district. This knowledge also appears to be widespread across Jordan with this species being recognized as a commonly used treatment for kidney stones and urinary tract infections. The Fic value of this category is 0.17. This category includes plant species used as hair tonic to treat dandruff. The use of the water extract of S. fruticosa Mill. for the treatment of dandruff in Tafila is very common and claimed to be very efficient. Heart disease, hypertension, and arteriosclerosis are examples of problems belonging to this category. The widely used A. sativum L. and A. cepa L. are the representative plants of this category. The chloroform extract of Gundelia tournefortii L. has been reported to have a mild inhibitory effect on platelet aggregation, which offers some support for the traditional use of G. tournefortii L. for anemia. These two categories shared the same Fic value of 0.00. There was only one use citation for each plant in each category. Five plant species were used for eye diseases and nine for diabetes. The categories recorded a lower Fic, which could be due to the informants' diverse backgrounds or their different sources of information. Alternatively, according to Aburjai, this may be attributed to the civilization trend of the society and the tendency of the people to follow orthodox medicine in modern society for recognized diseases. This survey reported nine medicinal plants that were used as antidiabetics in Tafila; however, only five of these plants have been tested for their hypoglycemic effect. A. herba-alba (Asso) was found to produce a significant reduction in blood glucose level. Ficus carica L., Juniperus communis L., and Urtica pilulifera L. induced a significant hypoglycemic effect in streptozotocin-diabetic rats.,, On the other hand, T. polium L. has been reported to exhibit no hypoglycemic effect. There are some criteria one should take into account when using medicinal plants and investigating their biological activities. First, it is important to select the correct part or parts of the plant. According to Aburjai, the different part of the plants may contain different concentrations of the active constituents and in some cases may contain totally different phytochemical substances. Second, the harvest time of the herb, the soil, the climatic conditions, and the method of drying, processing, and extraction should also be recorded as all these factors may influence the amount of active constituents present. Most of the informants are aware of the toxic plants found in Tafila, the main ones being Citrullus colocynthis L., Euphorbia hierosolymitana Boiss., Ecballium elaterium L., Nerium oleander L., and Peganum harmala L. Despite the toxicity of these plants, patients rarely suffer any adverse consequences because the practitioners of these plants are skilled in dealing with such plants and they take the appropriate precautions such as using lower doses. This is why these plants were noted to be used by traditional medicine practitioners and not by the locals, and according to Al-Qura'n, toxic plants of Jordan are well identified and fully known by local rural inhabitants. Interestingly, Citrullus colocynthis L. was reported as highly toxic by the informants and not used medicinally in the region of Tafila. However, in the Mujib Reserve, it is used for the treatment of jaundice, diabetes, and arthritis. This may represent regional variations in knowledge of handling this species or regional variations in the toxic constituents of the plant. This study investigated the medicinal plants used by local people of the Tafila area of Jordan, a semi-desert region on the eastern plateau of Jordan. The calculated Fic and UV indicate that the people of the Tafila region have a sound knowledge of traditional medicine, with 72 indications and a total of 41 medicinal plants of importance recorded. Interestingly, the study also reports the use of traditional medicine for the treatment of “modern diseases” such as hypercholesterolemia and diabetes. Comparable medicinal uses have been documented for many of the plants from surveys conducted in Jordan and neighboring countries. However, variations in the use of plants for different medical conditions suggest that there are local differences in knowledge about plants and their uses, which may also reflect the diversity of plant species in the Middle East. Consistent with ethopharmacologic studies of other regions in Jordan, digestive disorders scored the highest Fic with a similar percentage of use citations across the different regions. However, in the Tafila region, the Fic values are relatively low, indicating a low level of shared knowledge and that a number of different species are used to treat similar disorders. This may be a result of the great diversity of vegetation types found across the Tafila region, with the specific plant chosen being dependent on the species most readily available in the different vegetation zones. Interestingly, however, the UVs calculated for a number of species in the Tafila region are relatively high, compared with those recorded in other areas of Jordan. These high UVs indicate that despite the diversity of vegetation types across the Tafila region, a number of plants are highly valued for medicinal use throughout the whole region. This study contributes to the body of knowledge about the use of plants in traditional medicine, helping to document and maintain the knowledge that has been traditionally passed directly from person to person. The preservation of this knowledge is important not only for maintaining cultural and traditional resources but also as a resource for the future identification of leads for drug development. The use of Fic and the UV to identify plant species that are consistently used in the treatment of specific ailments assists in narrowing down the search for new effective plant-derived medicines and in validating the use of traditional medicines. A literature survey provided support for the efficacy of some but not all of these plants in the treatment of various illnesses. Saad B, Azaizeh H, Said O. Tradition and perspectives of Arab herbal medicine: a review. Evid Based Complement Alternat Med 2005;2:475-9. Rai LK, Prasad P, Sharma E. Conservation threats to some important medicinal plants of the Sikkim Himalaya. Biol Control 2000;93:27-33. Aburjai T, Hudaib M, Tayyem R, Yousef M, Qishawi M. Ethnopharmacological survey of medicinal herbs in Jordan, the Ajloun Heights region. J Ethnopharmacol 2007;110:294-304. Afifi FU, Abu-Irmaileh B. Herbal medicine in Jordan with special emphasis on less commonly used medicinal herbs. J Ethnopharmacol 2000;72:101-10. Atta AH, Alkofahi A. Anti-nociceptive and anti-inflammatory effects of some Jordanian medicinal plant extracts. J Ethnopharmacol 1998;60:117-24. Lev E, Amar Z. Ethnopharmacological survey of traditional drugs sold in the Kingdom of Jordan. J Ethnopharmacol 2002;82:121-45. Al-Rawajfeh AE, Al-Shamaileh EM. Assessment of tap water resources quality and its potential of scale formation and corrosivity in Tafila Province, South Jordan. Desalination 2007;206:322-32. Lipp FJ. Methods for ethnopharmacological field work. J Ethnopharmacol 1989;25:139-50. Heinrich M, Ankli A, Frei B, Weimann C, Sticher O. Medicinal plants in Mexico: healers' consensus and cultural importance. Soc Sci Med 1998;47:1859-71. Phillips OL, Gentry AH. The useful plants of Tambopata, Peru: I Statistical hypotheses tests with a new quantitative technique. Econ Bot 1993;47:15-32. Tardío J, Pardo-de-Santayana M. Cultural importance indices: a comparative analysis based on the useful wild plants of southern Cantabria (northern Spain). Econ Bot 2008;62:24-39. Gazzaneo LR, de Lucena RF, de Albuquerque UP. Knowledge and use of medicinal plants by local specialists in an region of Atlantic Forest in the state of Pernambuco (Northeastern Brazil). J Ethnobiol Ethnomed 2005;1:9. Teklehaymanot T, Giday M. Ethnobotanical study of medicinal plants used by people in Zegie Peninsula, Northwestern Ethiopia. J Ethnobiol Ethnomed 2007;3:12. Alkofahi A, Atta AH. Pharmacological screening of the anti-ulcerogenic effects of some Jordanian medicinal plants in rats. J Ethnopharmacol 1999;67:341-5. Yusuf S, Agunu A, Diana M. The effect of Aloe vera A Berger (Liliaceae) on gastric acid secretion and acute gastric mucosal injury in rats. J Ethnopharmacol 2004;93:33-7. Eguale T, Tilahun G, Debella A, Feleke A. Makonnen E. In vitro and in vivo anthelmintic activity of crude extracts of Coriandrum sativum against Haemonchus contortus. J Ethnopharmacol 2007;110:428-33. Iqbal Z, Nadeem Q, Khan MN, Akhtar MS, Waraich FN. In vitro anthelmintic activity of Allium sativum, Zingiber officinale, Curcurbita mexicana and Ficus religiosa. Int J Agric Biol 2001;3:454-7. Idris AA, Adam SEI, Tartour G. The anthelmintic efficacy of Artemisia herba-alba against Haemonchus contortus infection in goats. Natl Inst Anim Health Q 1982;22:138-43. Pathak NL, Kasture SB, Bhatt NM, Rathod JD. Phytopharmacological properties of coriander sativum as a potential medicinal tree: an overview. JAPS 2011;1:20-5. Abu El Ezz NM. Effect of Nigella sativa and Allium cepa oils on Trichinella spiralis in experimentally infected rats. J Egypt Soc Parasitol 2005;35:511-23. Elayan HH, Garaibeh MN, Zmeili SM, Salhab SA. Effects of Ecballium elaterium juice on serum bilirubin concentration in male rats. Int J Crude Drug Res 1989;27:227-34. Greige-Gerges H, Abou Khalil R, Abou Mansour E, Magdalou J, Chahine R, Ouaini N. Cucurbitacins from Ecballium elaterium juice increase the binding of bilirubin and ibuprofen to albumin in human plasma. Chem Biol Interac 2007;169:53-62. Abu-Irmaileh BE, Afifi FU. Herbal medicine in Jordan with special emphasis on commonly used herbs. J Ethnopharmacol 2003;89:193-7. Abuhamdah S, Abuhamdah R, Howes MJ, Al-Olimat S, Ennaceur A, Chazot PL. Pharmacological and neuroprotective profile of an essential oil derived from leaves of Aloysia citrodora Palau. J Pharm Pharmacol 2015;67:1306-15. Abdelhalim A, Chebib M, Aburjai T, Johnston G, Hanrahan J. GABAA receptor modulation by compounds isolated from Salvia triloba L. Adv Biol Chem 2014;4. Abdelhalim A, Karim N, Chebib M, Aburjai T, Khan I, Johnston GA, et al. Antidepressant, anxiolytic and antinociceptive activities of constituents from Rosmarinus officinalis. J Pharm Pharm Sci 2015;18:448-59. Halabi S, Battah AA, Aburjai T, Hudaib M. Phytochemical and antiplatelet investigation of Gundelia tournifortii. Pharm Biol 2005;43:496-500. Al-Khazraji SM, Al-Shamaony LA, Twaij HAA. Hypoglycaemic effect of Artemisia herba-albaI Effect of different parts and influence of the solvent on hypoglycaemic activity. J Ethnopharmacol 1993;40:163-6. Pérez C, Domínguez E, Ramiro JM, Romero A, Campillo JE, Torres MD. A study on the glycaemic balance in streptozotocin-diabetic rats treated with an aqueous extract of Ficus carica (fig tree) leaves. Phytother Res 1996;10:82-3. Kavalali G, Tuncel H, Göksel S, Hatemi HH. Hypoglycemic activity of Urtica pilulifera in streptozotocin-diabetic rats. J Ethnopharmacol 2003;84:241-5. Swanston-Flatt SK, Day C, Bailey CJ, Flatt PR. Traditional plant treatments for diabetes Studies in normal and streptozotocin diabetic mice. Diabetologia 1990;33:462-4. Afifi FU, Al-Khalidi B, Khalil E. Studies on the in vivo hypoglycemic activities of two medicinal plants used in the treatment of diabetes in Jordanian traditional medicine following intranasal administration. J Ethnopharmacol 2005;100:314-8. 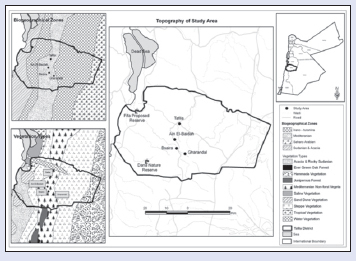 Al-Qura'n S. Ethnobotanical survey of folk toxic plants in southern part of Jordan. Toxiconomy 2005;46:119-29.